Divi is the number 1 selling WordPress Theme from Elegant Themes and has grown a huge community of users unlike any other WordPress theme. We all probably spend way too much time in various social groups, but it is a great place to learn, share and interact with other Divi Theme users. There are now quite a few Facebook groups available specifically for Divi but I tend to stick to a few key groups that provide useful content and helpful members. The community and 3rd party market that has developed over the past few years around the Divi Theme is one of the key selling points. For many users the Facebook groups are their go-to resource if they have an issue they need help with or just to see what others are doing with the Theme. This is the official group for Divi Theme Examples and is for sharing examples of websites made using the Divi Theme for feedback and kudos. Divi related posts are also allowed but there are no commercial posts or blog posts so that the focus can stay on sharing examples of how Divi is being used to create awesome websites. Join the group, Share your work with others and get inspired by what the community have created. This Divi Theme Examples FB group is a place to post URL’s for sites you have made/seen using the DIVI THEME by Elegant Themes. The best examples will be added to the Divi Theme Examples showcase. You are also welcome to post questions and discussion directly related to the Divi theme. If you have a Divi product or service you want to promote via Divi Theme Examples website please contact group admin Craig Longmuir directly. – Please use the search function and/or google to see if your issue has been answered previously, as it probably has. – For any help threads that are resolved please add ***SOLVED*** to the top of the thread (optionally with who by). – Please don’t cross-post the same question in multiple groups at the same time. These will be deleted. – Please don’t share links or posts from your Facebook pages to the group. -If you are creating Divi tutorials or blog posts please drop me a PM and if suitable I will add to divithemenews.com. unfortunately there are just too many to have them posted in the group without taking over the timeline. After an eventful past the Divi Theme Users group has ended up as being the official Elegant Themes Facebook group and is run and moderated by the staff at Elegant Themes. Anything Divi is allowed with promotional/blog promoting posts limited to #whatyougotwednesday. The largest and oldest running Facebook group for Divi it is a great place to get fast answers, but with so many people it can be hard to keep up. This group is managed by Elegant Themes and members of the Divi Community. If we receive reports of unsolicited PM messages asking for work, your profile will be deleted – if a user asks people to PM them for extra help – then that is cool, but do try to solve the issue in an open forum manner as this helps everyone. Please resist the urge to offer paid help within threads. We will delete these comments as and when we see them. Please search the group prior to asking a question before asking what the BEST solution is. Good Citizenship is the motto here. This forum is not a job board of any kind. Please refrain from asking for partnerships, developers to DM for or asking people to contribute to your business paid or unpaid. Hosting is an emotive subject, please refrain from asking for advice on which host to use. If you buy cheap, you get cheap. If your post or comment has been deleted, you have not followed our guidelines so, please do not connect with an admin about it. We have guidelines about posting to tutorials, products and services. Wednesday – show us what you got. Sunday – Share within the thread. No promotional tutorials or free assets that attempt or ask users to sign up for more – at any time. At all other times – no user promotional posting of any kind. Give a little and you will get A LOT. This group is specifically for Divi Layouts and Divi layouts only! Any non-Divi layout posts are deleted so use one of the other Divi groups for general Divi issues, questions and chat. 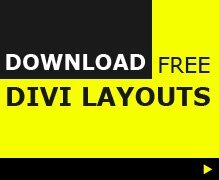 You will find updates from Divi Layout directory website and can post any support questions if directly related to layouts. 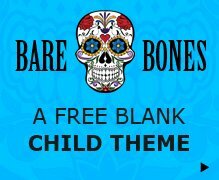 A place to share and discuss Divi Theme layouts… and nothing else. If you have a commercial Divi Layout product or service you want to promote via the group and the DTE website/mailing list, please contact admin Craig Longmuir before posting. This is a group run by a large group of veteran 3rd party Divi designers, developers and long term users. This group covers everything related to Divi and a few general WordPress topics too. Naked Thursdays has a free for all post where you can share anything you have been working on. 1. This group is NOT run by or affiliated with Elegant Themes, though some of ET staff are kind enough to share valuable official ET info in this group regularly. 2. Please TRY GOOGLE FIRST and use the SEARCH function to be sure your issue has not already been addressed. Issues repeatedly posted may be deleted. 3. Asking for copies of Divi or any other Elegant Themes product will result in you being banned immediately without notice or question. 4. We try and stay on topic here so more q’s pertaining to DIVI AND EXTRA, less about hosting or how to run a business. 5. NDR MEANS “NOT DIVI RELATED” and is for more general WP topics that may be helpful to our members, but overuse or abuse of this will result in NDR posts being deleted. Please check the recommended groups up top for other great fb groups. 6. Every Thursday is “Naked Thursday” where we share what we’ve been up to, Divi and non-Divi. Please share it IN THE NAKED POST THREAD. 7. Affiliate links are allowed if someone asks for help choosing a particular service/software/plugin and you recommend one and have an aff link, JUST BE SURE TO DISCLOSE IT. APPSUMO AFFILIATE LINKS ARE NOT ALLOWED. 8. If you ask for help it’s likely we need a LINK to actually see the issue happening and look at your code to help. 9. This group is NOT A MARKETING HUB TO GARNER CUSTOMERS. If you are a Divi child theme or plugin developer you may post about your new products but please limit them to launch and the occasional sale post only. Please refrain from informing the group on every product update as that is what your email lists are for. We ask that all Divi product developers do their fair share of the ‘help’ aspect in return for posting links to your Divi products. 10. If you’d like to share your own work in the form of free or paid Divi layouts, layout kits, child themes, or anything else that can fall under the category of a product please link to a storefront page of your site where there are product details and demo links. Any links to direct media downloads or requests to send money through PayPal in return for a download link will be deleted and you will be banned. 12. If you post an issue and someone helps you solve it please edit your post to say SOLVED or similar at the top so that other members will know that you no longer need help and also see what the fix was. 13. FREE HELP ONLY! NO JOB LISTINGS OR WORK SOLICITATIONS ALLOWED. There is a Divi job listing group in the recommended groups section. Please report any unsolicited PM’s for work to an admin. If you are looking for paid help to hire for your Divi website project, then this group is here specifically for hiring Divi developers and designers. Post your job and hopefully you will find your ideal candidate. It’s not a group to promote your own Divi services tho, so don’t go spamming your wares! It is worth noting that the other Facebook groups are not the place to post offers of work so head in to this group to post your job. This group is intended for JOB POSTINGS ONLY. Please keep all posts relevant to these topics. For general discussion & free help there are several other Divi groups that are more appropriate for those posts. BEFORE POSTING read the following rules & guidelines. Failure to do so will result in your post (and possibly you) being removed from the group. 1. Post a clear & concise description of your job. 3. When a position has been filled, please delete your post. 4. It is YOUR responsibility to vet/research potential candidates. 5. This group and its admins are NOT responsible for any disputes that arise from business relationships formed in this group. 6. All posts are manually approved by admins and moderators and we reserve the right to delete posts and ban users who do not comply with these rules without notice. 7. Refrain from self-promotion. All posts should be job postings only. Self-promotion and personal ads will be promptly deleted and will result in you being banned from the group. 8. Do not contact other members of this group offering unsolicited help and services. It is fine to respond to help wanted posts, but do not use this group to advertise your services to those who have not requested it. Violators will be immediately banned. 9. If you feel someone is paying a low rate please keep it to yourself and skip that post. Our members are worldwide so what one person is willing to work for, another may not be, and currency exchange rates vary worldwide. Any bullying, shaming, or harassing comments will be deleted and you will be removed without notice. For questions, contact one of the admins of this group. Cheers! Facebook is great for getting out Fix of Divi Theme news, examples, tutorials and solving our problems, but don’t overdo the Facebook time! If you spend way too much time on Facebook, put your tablet down, turn off your phone and laptop and go and do something more fun instead. i think the only group i need now is the official Divi Theme Users group as it has everything i need. and no more EMP sales posts!